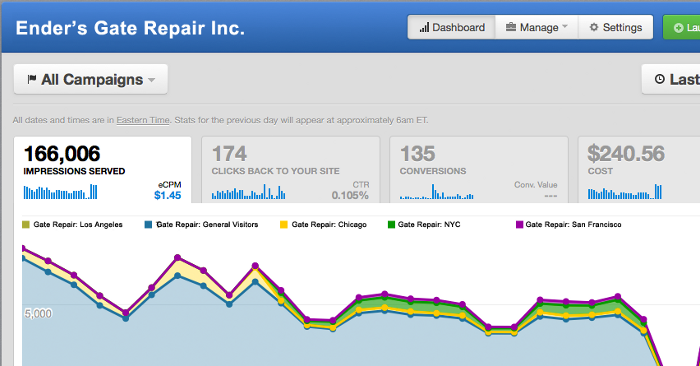 I’m often asked what third party tools I use to optimize my Facebook marketing efforts. I decided it was time I finally write this post to list all of those tools in one place. These are all paid tools, though some do have free plans. Some of the links below are affiliate links. You should know that I only use affiliate links for products I use and recommend. Ultimately, I’ll list the tools I think will be most useful for you. Note that there are many other tools that I admire that aren’t on this list, but these are the tools I currently use most often. My favorite tool of all is Power Editor, but that’s really cheating. It’s a free tool and it’s even created by Facebook. The purpose of this post is to focus on the third party tools that I use. 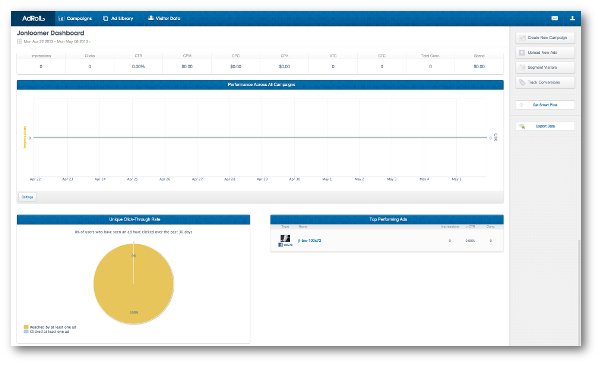 This is a tool I recently started using to help create and monitor my own FBX (Facebook retargeting) ads. FBX is a very powerful way to target users with ads on Facebook who previously visited your website. Perfect Audience and AdRoll (next on the list) are the only two services I’m aware of that are available at a budget that fits small businesses. You can even try either one out for free with a $60 free trial. Read more about Perfect Audience here. I’ve been trying out both Perfect Audience and AdRoll for about a month now. Both are very similar with excellent UI to easily set up FBX. 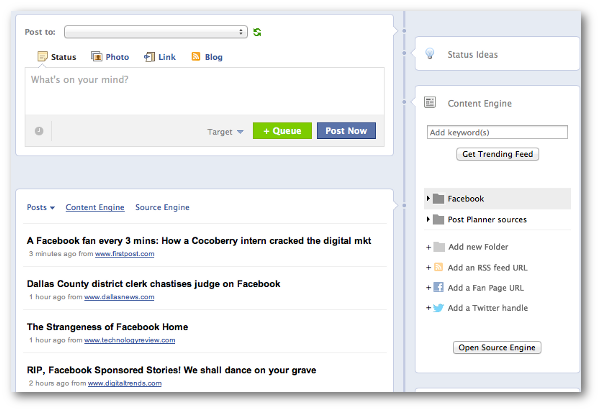 The one advantage of AdRoll right now is that they offer the ability to create News Feed FBX ads. I’m sure this is coming from Perfect Audience soon as well. Learn more about AdRoll here. This service alerts you when posts are performing especially well so that you can easily promote them through the PropelAd interface. PropelAd also isn’t nearly as limited as the typical Promoted Post since you are allowed to promote posts that target Fans only, for example. I’ll be writing more about this service soon! More often than not, I publish my posts directly within Facebook. But as my strategy gets more sophisticated, I’ve found a couple of tools to be very beneficial. PostRocket is like Buffer, but with a twist. Once you add a post to your queue, PostRocket will determine the best possible time of day to publish it based on user activity. There are also some nice photo filtering features baked in. I recently started using PostPlanner more for two reasons: 1) Bulk scheduling and 2) the Content Engine. Bulk scheduling is important to me because I repost old, evergreen content. This is a very laborious process when done through Facebook. 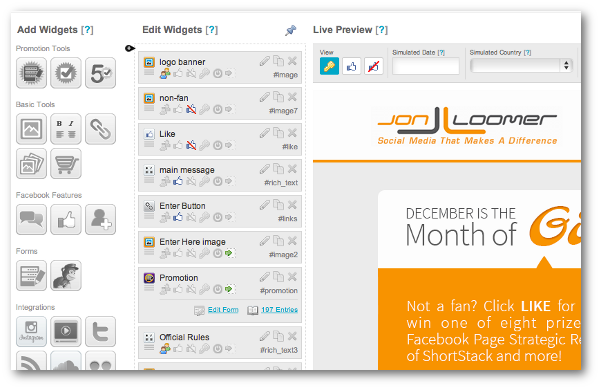 But it’s much easier with PostPlanner since you can upload a CSV file that includes all of your posts. The Content Engine is a nice addition since it surfaces popular blog posts based on keywords that I may want to share. This is the type of tool that may eventually replace my Google Reader habits when that product is phased out. Oh, come on… You didn’t expect anything else here, did you? I’ve been using ShortStack almost exclusively for about a year and a half now. I absolutely love it. Great, easy-to-use product, excellent interface and awesome people. I use it for creating contests or any of my other custom tabs. Here’s an old review that I wrote about ShortStack. Some of it is undoubtedly outdated now, but it will still give you an understanding of why I use and love it. 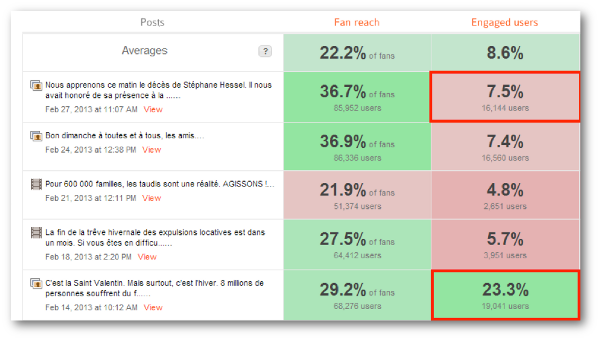 Facebook Insights is a valuable source of information, but it’s also a major pain to use. That’s why a tool like AgoraPulse is so helpful. AgoraPulse can also be used for publishing and scheduling, building apps and a whole lot more. But I use it most for easy viewing of my Facebook analytics. 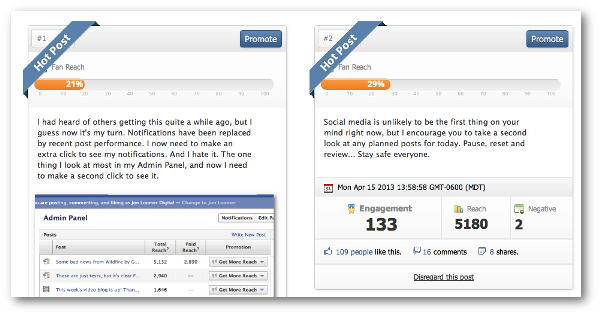 These are the tools that I use that make my Facebook marketing efforts a whole lot easier. What tools do you use? List them in the comments below!